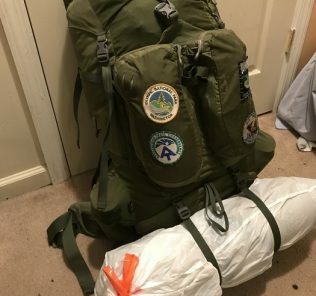 Distance – Day 1 – 3.5 miles backpacking and 1 mile of hiking. Type – Out and back, with a bit of a loop at the end. Open – April to November, 24 hours a day. Parking – Paid parking available at the ferry terminal. Map – If you’re planning on going, I can’t recommend enough getting the National Geographic trail map. I’ve used these on all my non-AT national park adventures, these maps are accurate (I mean, it is National Geographic) and durable, the two things that you need in a map. 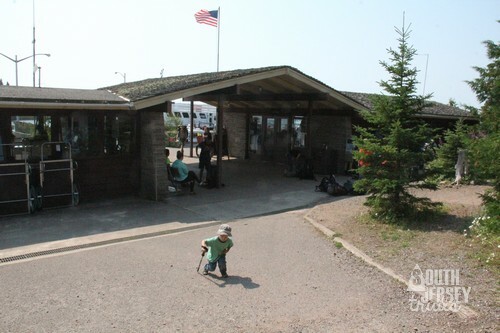 We woke up bright and early, packed up camp, and drove the short two miles from Fort Wilkins State Park to the tiny town of Copper Harbor, Michigan. 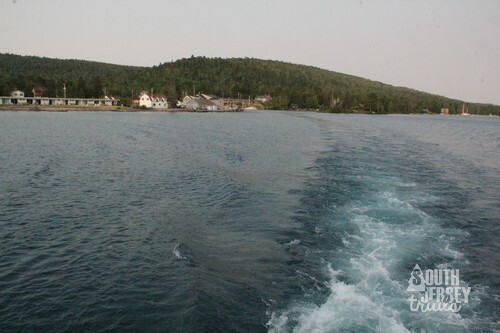 We were, as per usual for us, ridiculously early for the Isle Royale Queen IV Ferry. Why were we up so early? 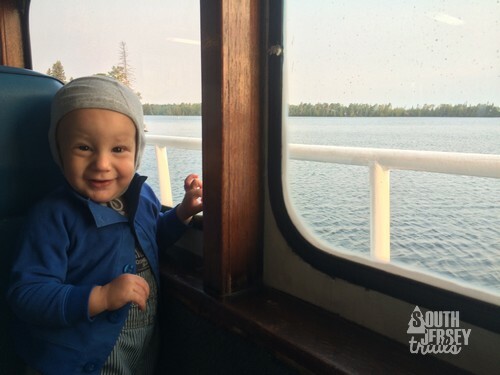 Because we were taking a 3 1/2 hour ferry ride across Lake Superior to the least visited of the 59 national parks in the USA – Isle Royale National Park. 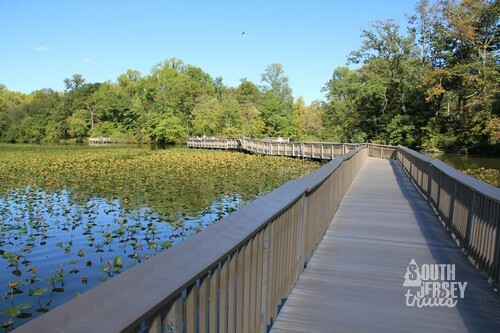 In an average year, less than 20,000 people visit this park… or roughly the equivalent of how many people are in any particular Wawa at 8 o’clock on a weekday morning. 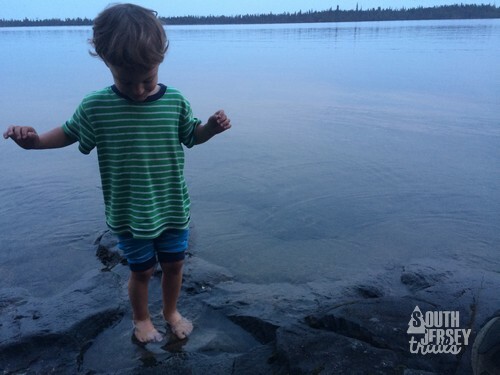 Now a long boat ride or it’s location in a far-flung corner of the country is not the only reason for Isle Royale being so little visited. 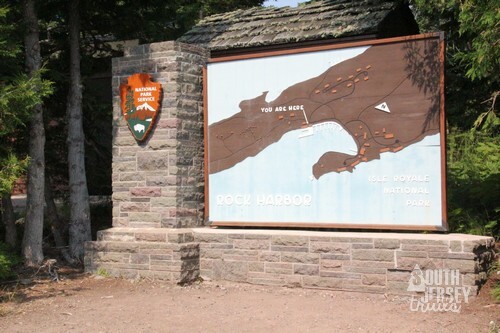 It’s also because there is only one place to stay on the island – the Rock Harbor Lodge. 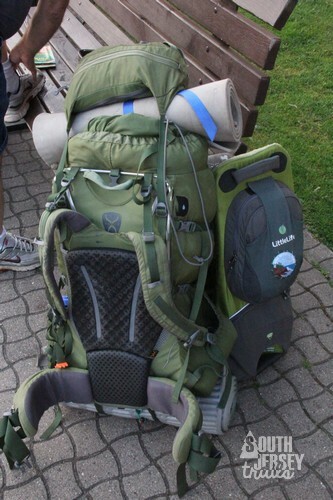 Other than that, your only option is backpacking in the backcountry. 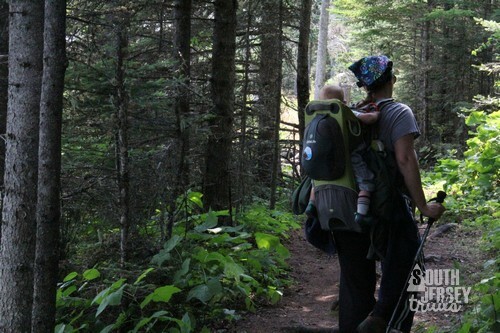 165 miles of backpacking trails + less than 20,000 visitors + moose and wolves = backpacker heaven. 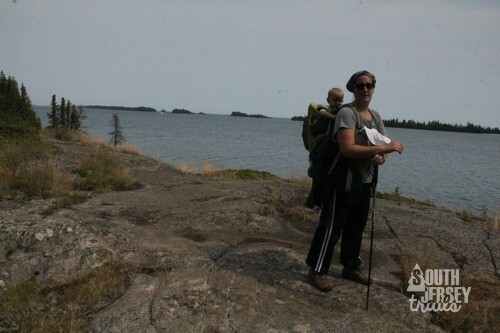 We had opted for backpacking because 1) adventure and 2) our Christmas bonus had covered the majority of the ferry crossing (somewhere in the neighborhood of $375 for the 4 of us… and that was with a 1 and 3 year old! ), but hadn’t left anything for hotel rooms. 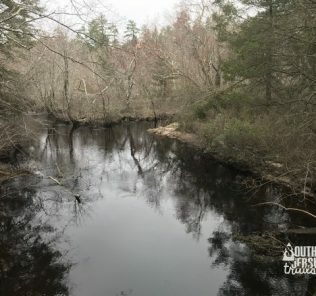 This trip would be extra exciting because it would be The Wife and Tree Rider’s first time ever backpacking, and The Pres’s second time (he had done his first trip six weeks before on the Mullica River Trail out in the pine barrens). 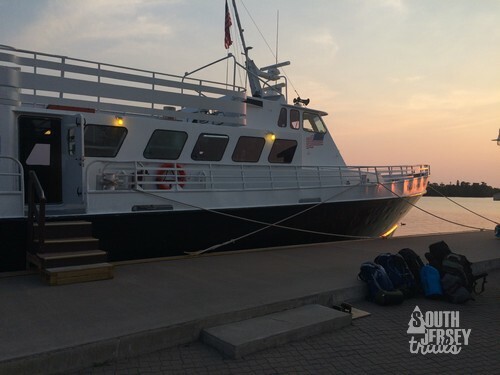 So onto the ferry we went, 3 1/2 warm hours across the greatest of the Great Lakes, to Rock Harbor Lodge. Once the ferry arrived, I headed for the permit office, filled out our hiking permit, and away we went! We set off down the Rock Harbor Trail, our goal for the day being Daisy Farm. We knew going in that we’d only get there if everything went perfectly, and it became pretty clear early on that The Pres wasn’t moving at top speed this day. 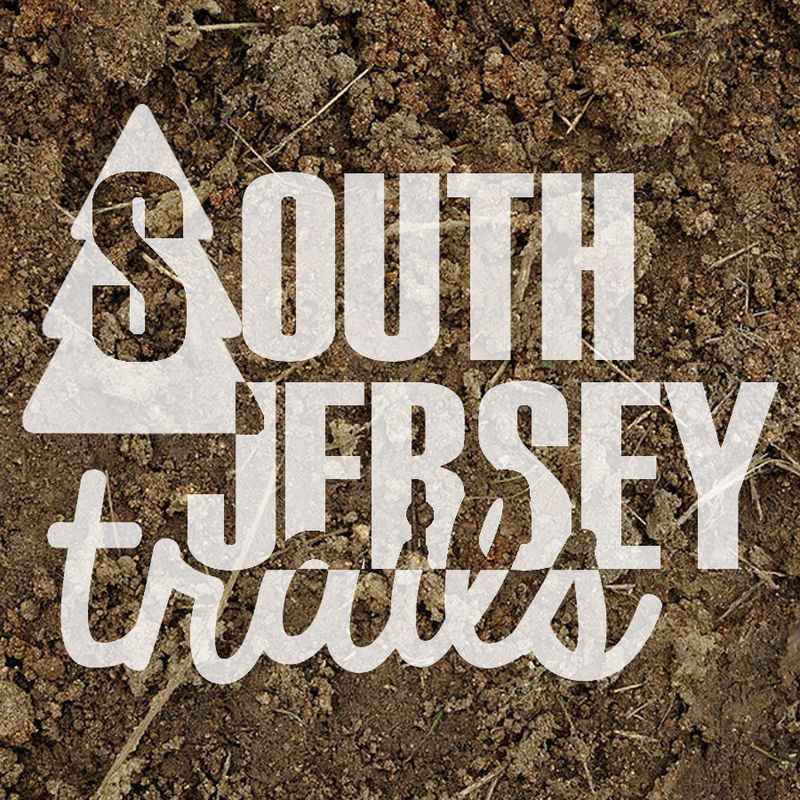 That was actually a good thing to know early, as we relaxed and settled in on the trail for a much shorter hike to 3 Mile Campground (actually 3 1/2 miles from Snug Harbor where the ferry docked). Now, as far as national parks go, this one is far from the most dramatic. 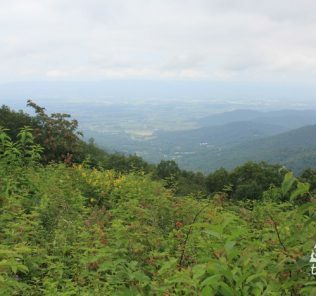 There are no huge mountains (although there is a decent climb up to the ridge on some of the trails we didn’t take). The water doesn’t dramatically plunge into the water. The park does have wildlife going for it (moose and wolves! ), but the big draw is the solitude. After a short ways out from the lodge, there are no more day hikers, just backpackers. After the ferry takes off in the early afternoon, there are virtually no vehicle noises save a few passing small boats and one or two far off plane engines during the course of a day. 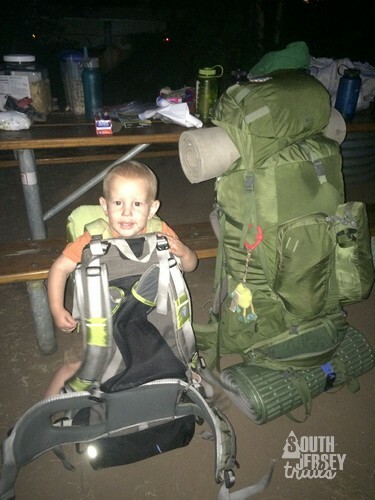 The Wife and kids held up very well during the backpacking, and the miles moved pretty steadily. The trail was very easy to follow, and we only lost it very briefly in one spot as we moved over some rocks. 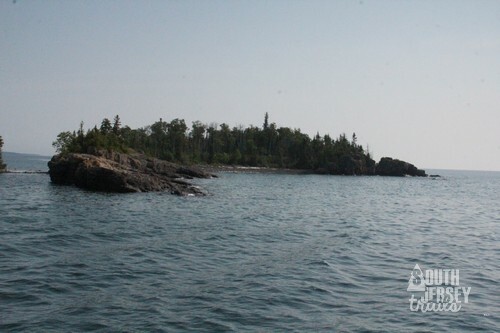 The rugged rocks against Lake Superior make for very pretty scenery. The Rock Harbor Trail wasn’t much of a challenge as far as backpacking goes, it was relatively flat with only tiny elevation changes. Water was never a concern, because you were always steps from the largest freshwater lake on Earth. A nice breeze off the lake kept everything cool, and we were far enough north that the sun doesn’t set until after 9 PM. 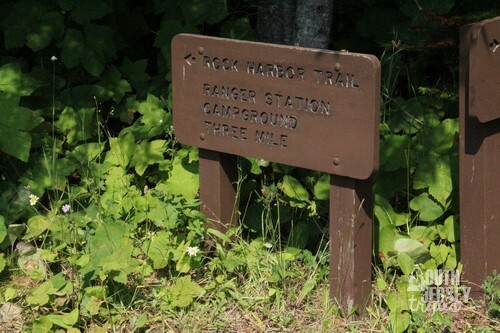 Once we were away from the Rock Harbor Lodge area and through the campground next to the ferry terminal, there was only one place the trail even split off at all (about 1.75 miles into our day), which we’ll talk about on day 2. It took us from noon until about 4:30 to reach the campground, where we snagged a campsite just ten feet from Lake Superior. 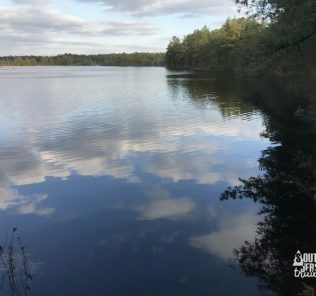 We set up our tents (I had to haul two backpacking tents, as our family camping tent was just too heavy to pack on the trail), filtered our water, poked around the area some, and had backpacking meals for dinner. One of us even took a nap. After dinner, we still had hours until dark, we we did what you do in the backcountry for fun… took a hike! 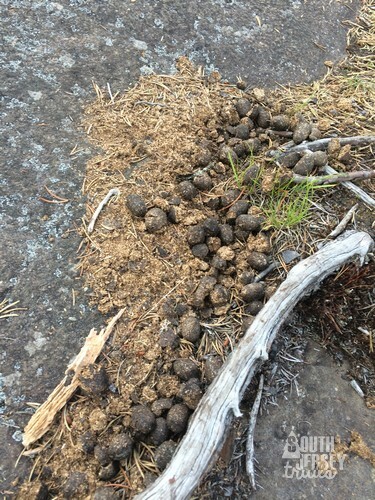 We wandered another half mile down the trail, finding some good deposits of moose turds. 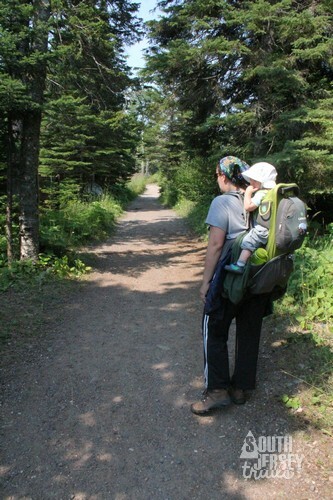 I then walked the baby to sleep, and we headed back to camp. With the baby in bed, The Pres and I went down to look at the water and discovered we had our own private beach (by which I mean, large rock next to the water). The Wife, The Pres, and I hung out down there and watched the sunset before turning in for the night. Nearby – Nothing, absolutely nothing. It’s beautiful. 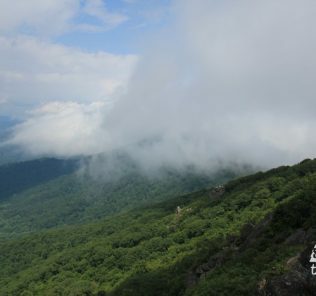 The highlight of this park is 165 miles of backpacking trails in one of the least visited national parks in the country. Backpacking, Hiking, National Park, national parks, Outdoors., Wildlife.